Ah, the Maid/Matron of Honor, let’s be honest, she’s the one who’s on call for everything on the morning of the wedding. Why? Well, because the bride is undoubtedly dealing with ALL the feels that pop up when you wake up and realize ‘Whoa, I’m becoming someone’s wife today. WTF? This is all happening way too fast.’ Plus, the MOH has likely been prepping for this morning as if it were the Olympics. #carboloading at the rehearsal dinner, yeah, she was putting in the work. In any case, we’ve already let our brides know what they shouldn’t be forgetting about the morning of their weddings, but it always helps to have a second-in-command on-call to deal with any fallout. So, we’ve put together a list of things every MOH should be #konmari-ing on wedding AM. Reiterating those makeup and hair tips. Making sure the glam squad has their hookups. This is another one of those things that the bride usually figures out when she’s making arrangements for where everyone is getting ready, but it’s super important to make sure that the makeup artists and hair stylists have enough outlets to plug all their tools into. If it looks like there aren’t enough mirrors or power strips, then you might have to pay the on-site event coordinator a visit and make alternate plans for where you’re all getting pretty. That or run out to Staples or Target real quick and grab a bunch of provisions just in case they’re necessary. Want to score even more MOH points? While you’re there, pick up a couple cheap phone chargers so that anyone who needs a little juice can re-up before the wedding - including the glam squad. They love to take photos of their work and post them on social media ASAP, so it’s helpful to have as close to 100p charge as possible. Coming through with that caffeine fix. Someone needs to be on cold brew+drip coffee detail when the getting ready portion of the day starts promptly at 0700 hours. And while a lot of hotels and wedding venues will usually coordinate food and beverage for the bride and her tribe, it’s always good to have a backup. Whether you need to send out a text and ask everyone what they want that morning or want to get ahead of it and send out a survey a few days before the wedding (coffee orders by X time on Y day, or you get none! ), you’ll be in a much better position to stop for coffee before getting to the bride and the rest of the girls. Bring extra sachets of sugar, Splenda, blue or pink packets, stirrers, and even a pint of soy or almond milk, just to show that you care. Oh! And P.S. UberEats is officially fueling up for spring wedding season with a partnership with Starbucks - the java juggernauts are rolling out expanded delivery service - starting with some key cities (San Francisco, New York, Los Angeles, etc.) - sooo, as the Maid of Honor, just make sure your apps are all up-to-date. 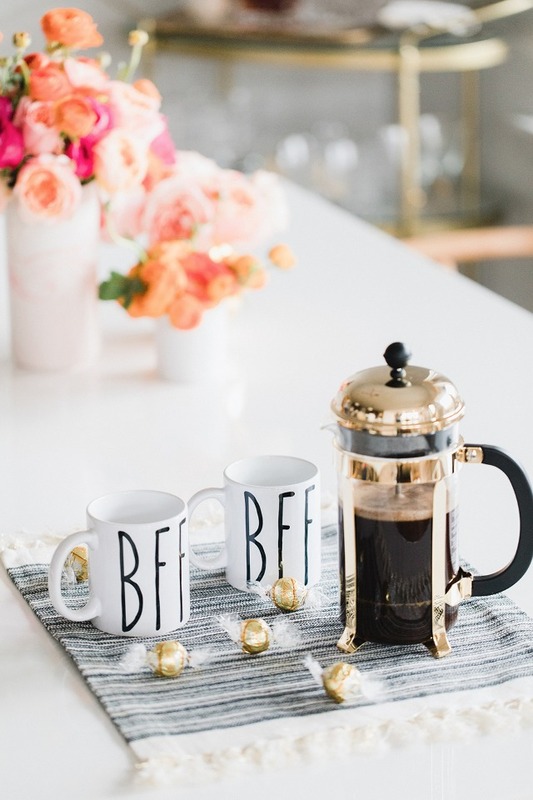 You can avoid any under-caffeinated/where’s-my-mocha meltdowns if you can place a bulk order and have it delivered right to your bridal suite! #MaidofHonorGoals. Being the gopher for the photographer or video guy. This is one of the things I learned from being in three weddings in the last year. A bride is busy and stressed and has 8000 things flying around in her head at once on the morning of her wedding. She probably has a bag of items that her photographer+videographer asked her to have on-hand (with her invitation suite, shoes, day-of jewelry, engagement ring, garter, etc.) for those detail shots, but in all likelihood, she'll forget all about them when she’s a couple mimosas in, with rollers in her hair and haven’t-fully-adjusted-to falsies on her eyes. So, it’s MOH to the rescue. Have a game plan in place so that you know where she stashed her stuff and can retrieve it as soon as the photo teams ask for it. In the same vein, you’ll also just want to convey to her capture crew that you’re her sister/bestie/cousin - MOH, for all intents and purposes - and you can answer any of their questions or provide x, y, and z for them if they need it throughout the day. And if they’re asking for her bouquet, and it’s still MIA, then you’ll want to get her florist on the phone ASAP to get an ETA on those expected blooms. I’m speaking from experience on this one… Being the go-between between vendors (and the eyes and ears for the bride) is definitely something that falls on the MOH on the morning of the wedding. Styling the squad so they sparkle. So, obviously your fellow members of the bridal party are old enough to know how to put themselves together - unless there are flower girl(s) or jr. bridesmaid(s) - but if the bride gave the whole group jewelry, robes, flip flops, as part of their gifts from the night before, with instructions to wear them for the wedding, then it’s the Maid of Honor’s duty to ensure they doll up appropriately. At my cousin’s wedding a few weeks ago, she gave us all shawls to wear to keep our shoulders warm (TG, it was the best thing ever during a 30-ish degree day with bare arms), and really pretty jeweled brooches to wear with them. None of us really knew how to style them, but one of the girls stepped up and fashioned her own to look 👌👌👌; she then helped the rest of us get up to par. My cousin, the bride, saw us all together and was so excited with how everyone looked. And she was impressed that she didn’t even have to give us direction. YAASS. This is something that will certainly keep the bride stress-free, if she doesn’t have to worry about her bridesmaids looking hot mess-y. As the MOH, just lean into your HBIC role. If anyone is chewing gum right before photos start snapping, make sure you tell her to spit and discard. If someone’s eyelash strip is falling off, let them know about it, and maybe even have an emergency kit on hand with eyelash glue so you can help them fix it in the limo. Getting that first peak at the first look. The MOH knows she’s on dress detail for the bride ALL DAY LONG. Fluffing her skirt on the aisle, bustling the gown before the reception, etc. So, for the first look, of course you should come along for the ride. That dress won’t be fanning itself out! While you’re there, also do you part to take pictures of that epic tap on the shoulder, meeting of the bride and her S.O., so that she can have some amazing sneak peek pics to peep while she’s trying to go to bed later or waiting to board the plane for her honeymoon. And since you’ll be wingwoman-ing her first look, you’ll also want to be the point person for her gift/card exchange with her partner. If they’ll be doing that!